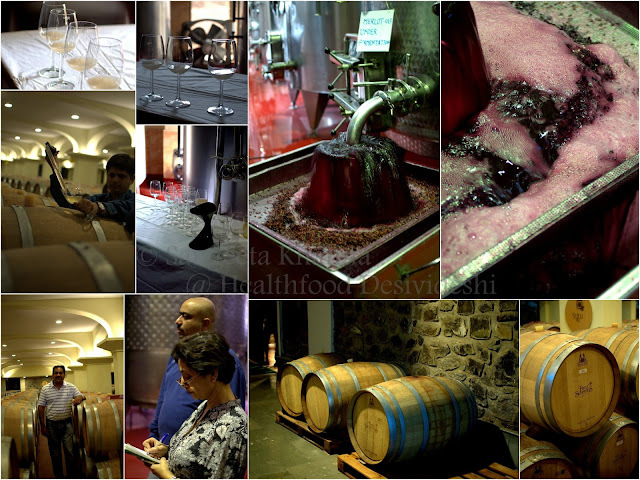 Coming from a background of life sciences and microbial biotechnology, I was immensely intrigued towards wine making when I visited a winery and a vineyard owned by Four Seasons at Baramati, Maharashtra. Also, being a curious tourist I am so glad the concept of wine tourism is opening up in our country as most vineyards are located in beautiful places. Nature lovers like me would definitely want to combine the pleasure of good food, good wines and some rustic nature watch around such vineyards. Baramati region of Maharshtra is the area where sugarcane and grapes grow well, they export a lot of grapes and sugar products to other countries but I believe it will be a better idea to set up wineries around these areas so the wines in India are made locally. 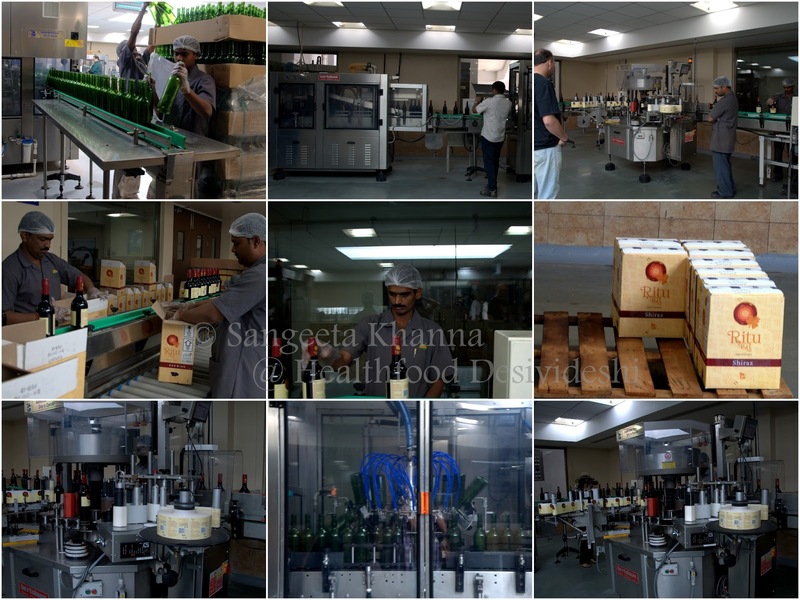 I visited Four seasons vineyards in Baramati near Pune last week and found that they use world class equipment and expertise to make wines. The vineyards they have planted are just two years old, still in the R&D stage but soon they will be using their own grapes for the winery. This is the only grapes I spotted. The Zinfandel variety, the grapes look sad as these are the leftovers after the harvest. I was expecting bunches of grapes all over the vineyard and this is all I got to see. Hard luck this time. But this place has a greater promise even if you don't spot huge bunches of grapes all over. A huge manor house style villa nestled in the wilderness of arid scrub jungles, the areas of the western ghats that are dry and arid all over the year with a brief monsoon around July-August. 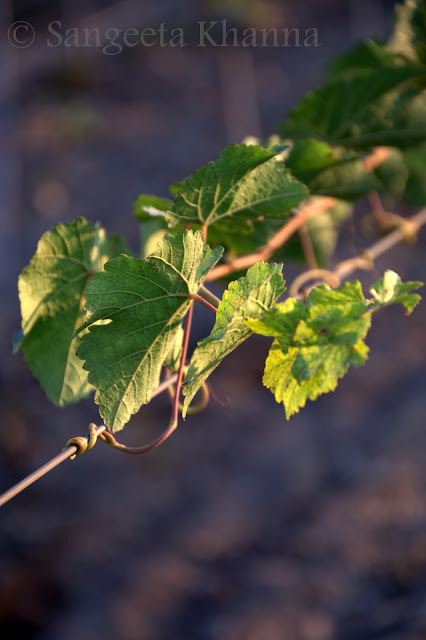 Climatic conditions are good for grapes and hence vineyards are coming to these areas in a big way. It's a good thing that the local farmers will be benefited and their produce will be contributing to developing a wine culture in India. 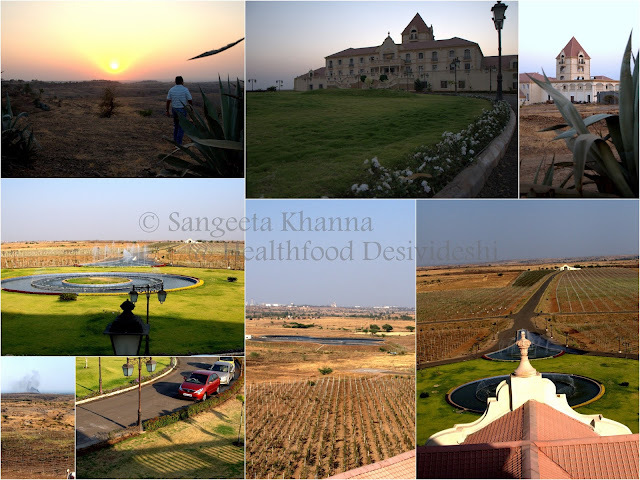 Here is how the villa-resort is surrounded by the still developing vineyards. 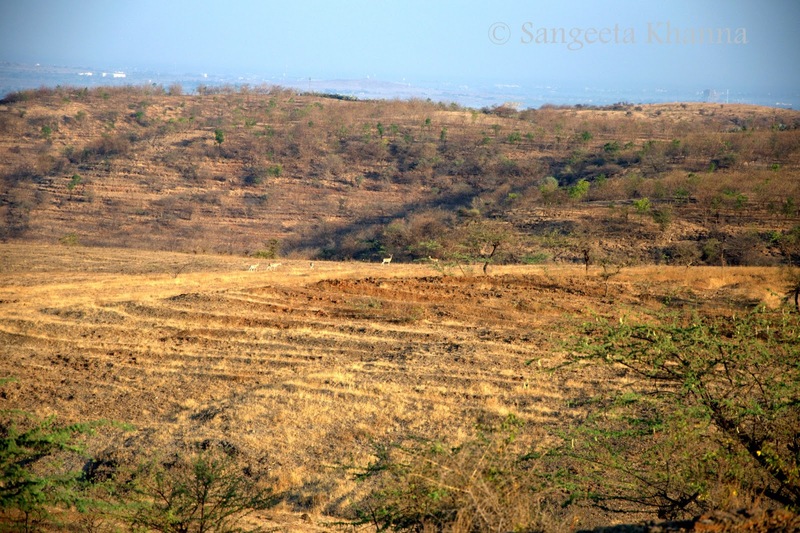 Acres of land to be developed into lush vineyards. It will be a beautiful place within a couple of years. The huge Manor-house style winery is coming up beautifully and will be open to wine tourism shortly. 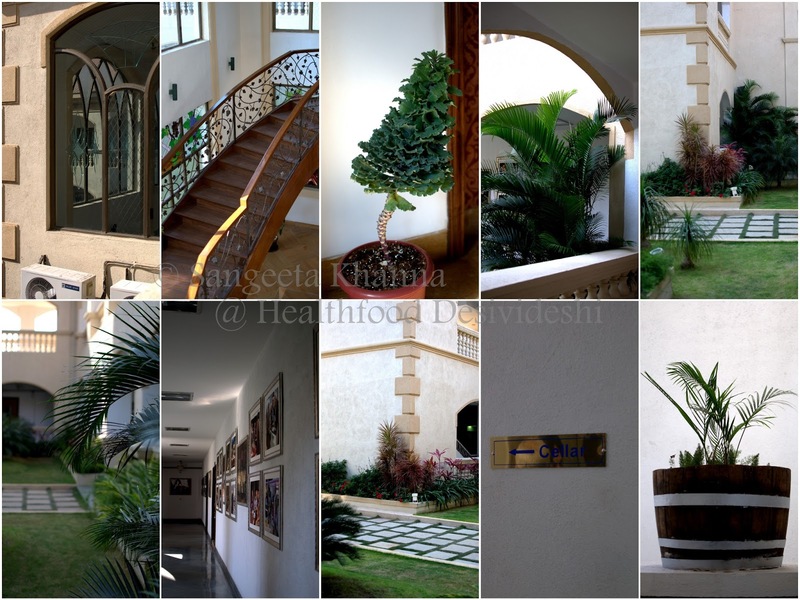 One look at the interiors and the gardens around the place gives an idea how the team has conceptualized this place with love and passion. Wines all over the world have developed around their own local cuisines so they have the perfect food and wine pairings and traditions. I was glad to see that the Four seasons team paired rural Maharashtrian cuisine with their wines. I always wanted to pair wines with our desi food. We have such a rich culture of local ingredients and varied cooking methods, varied spice combinations so the wines would be chosen carefully and sometimes the spice quotient would be optimised according to the wine. 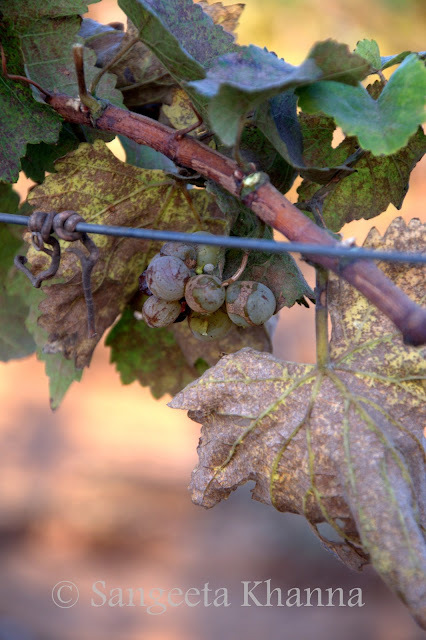 I am sure there will be a time when the wines produced from local grapes would complement the local foods in all it's glory, without compromising much on the spice scale. May be a sweeter berry-fruity wine would come up with the locally grown grapes that suits the spicy foods. Fingers crossed. I love my spicy desi food. For the first day's lunch we had a yummy Sol kadi as the Amuse-bouche. 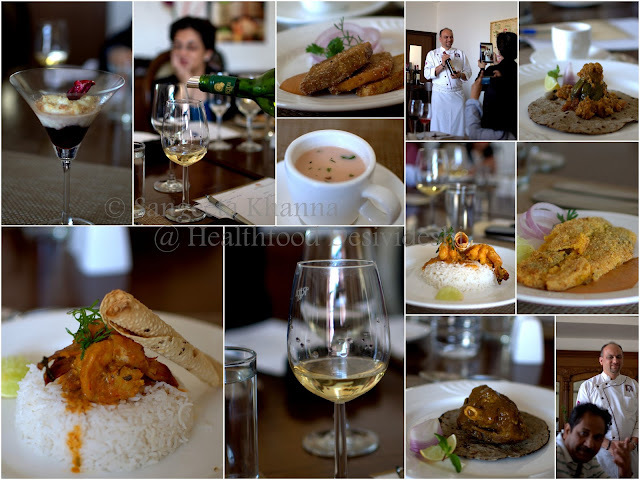 Bombil rawa fry (semolina crusted Bombay duck) paired with 'Ritu' Sauvignon Blanc-2012 was the appetizer. I liked the main course more. A Tilatli Kolambi (King prawns in a konkani style coconut gravy) paired with 'Ritu' Viognier-2012 and a Mutton Saoji (Nagpuri spicy lamb dish whose spice quotient was toned down to suit the wine) paired with 'Ritu" Shiraz Barrique Reserve-2010. The mutton was cooked perfectly, falling off the bone and tender. 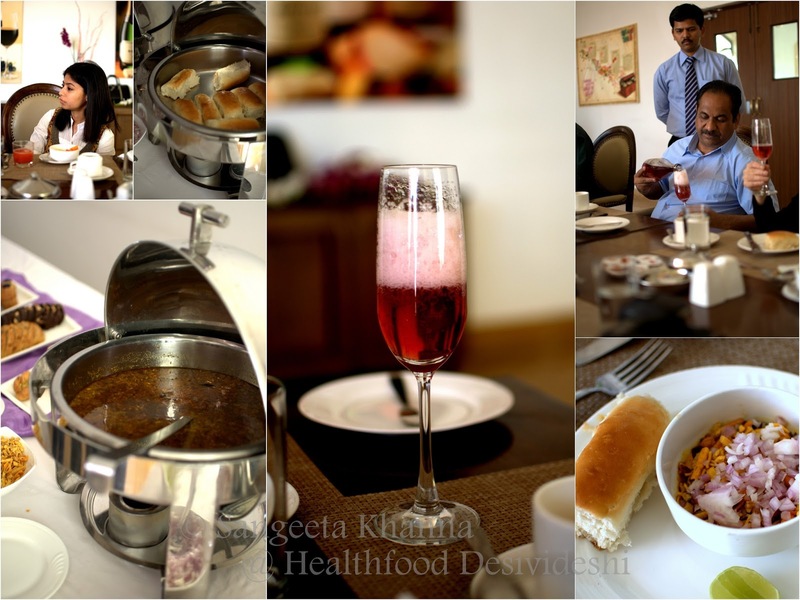 Chef Nilesh Limaye had done justice to everything. I would trust him for Konkani-Maharashtrian cuisine. The dessert was a rice kheer served along with a black grapes coulis as a base. A really nice dessert paired with 'Ritu' Late Harvest Chenin Blanc-2012. More than anything else, I loved they thought of serving a rural maharashtrian cuisine and pairing it with world class wines. This will take the concept or Indian wines places. All the food and wine pairing is interesting for my palate, the complementing flavors, the contrasting notes and the beautiful sparkling colors swirling in wine glasses, the beauty of bubbly wines, it can go on and on for wines as a foodie experience. But being a microbiologist in my past avatar, wine making intrigues me more. How the grapes are just lightly squished by a delicately positioned pressing machine, not macerating the skin so harsh phenolic compounds are not extracted (hampering the taste of wines), how they are fermented and how the sugar content or tannin make a difference in alcohol percentage, color and taste. 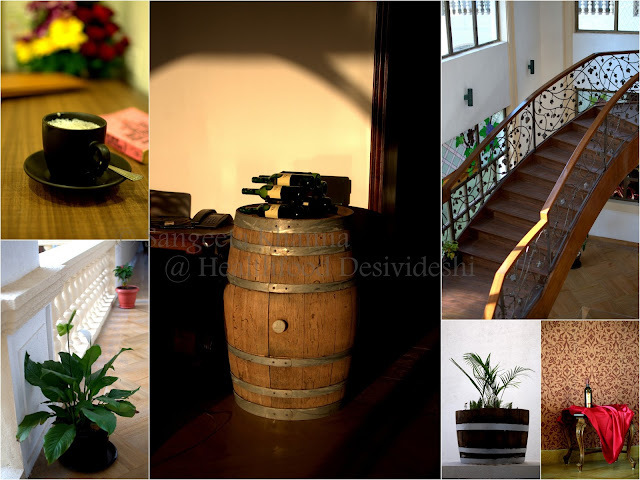 Oak barrels are another story altogether. Dry ice is mixed with the grapes just before crushing them lightly so they go to the fermentation chambers in anaerobic condition. Then after a certain degree of fermentation the partially fermented juice is filtered and oxygenated. Oak matured, bottled, infused with carbon dioxide, depending on how the wine maker wants the wine to be like. It was really interesting to taste wines half fermented, half matured and fully matured and aged too. The barrel room was well lit and beautiful, I had imagined a dingy dark place to be honest. Tasted some maturing wines, sucked out of the barrels using fat pipettes. After the wine cellars we also tasted wines in the lab. Noticed the difference between the wines matured in bottles and barrels. My wine palate got some serious learning here. Evening we rushed out to watch the sunset. This is one place where you would love to watch sunset behind the Villa and the sun rise just by the main gate. 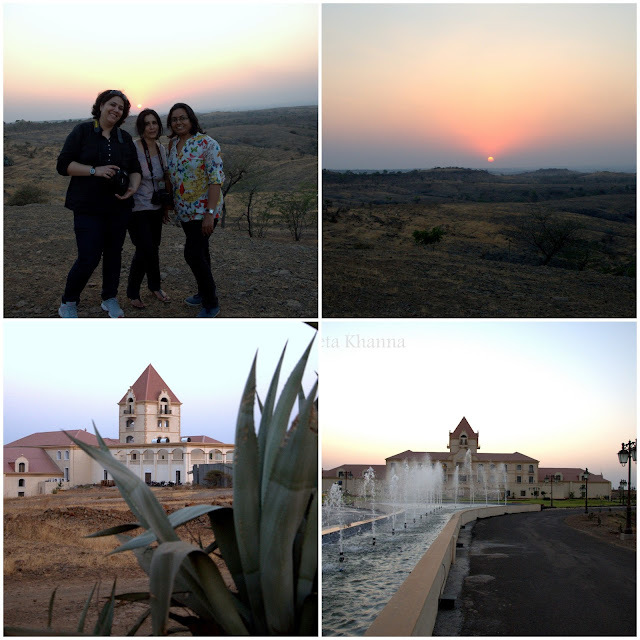 Read Deeba's post to see sunrise pictures. She is an early riser and got beautiful sunrise pictures. Dinner was arranged by the poolside. Weber grills were set and various vegetables and meats were grilled, antipasti was arranged on barrels, a wine centered setting.. I suggested grilled pineapples and cheese wrapped grilled aubergine slices and that was done promptly too. Though the serving was a little haphazard with courses being mixed up and such things. The service will definitely be better once they have everything settled down. The Chef was just flown in to cater guests like us for a week. 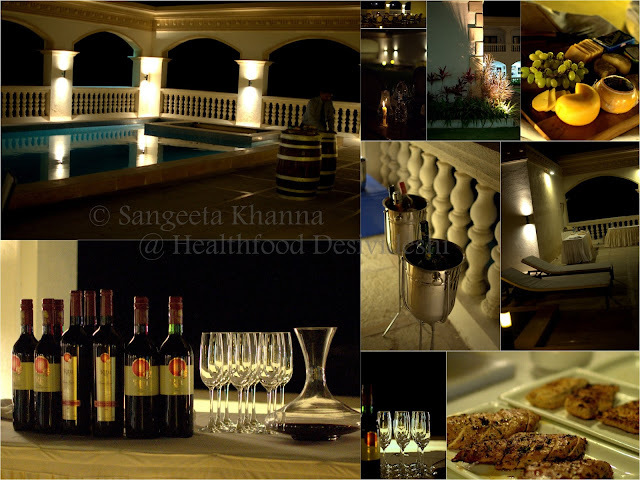 They had been entertaining a few journalists and foodies for an exclusive preview of the 'wine resort'. Ritu Blush was served whose color was the topic of discussion. Warmer tones of the color for India would go well, we all agreed. Cool breeze on the first floor poolside, good food and some similarly inclined people chattering away felt really nice. Evening and night temperatures are enjoyable in this place. Reva K. Singh of Sommelier India, Sourish Bhattacharya from India Today and fellow food bloggers Deeba Rajpal, Rekha Kakkar, Pawan Soni and Ekta Khetan were the people who kept talking till late in the night with nibbles and wines. 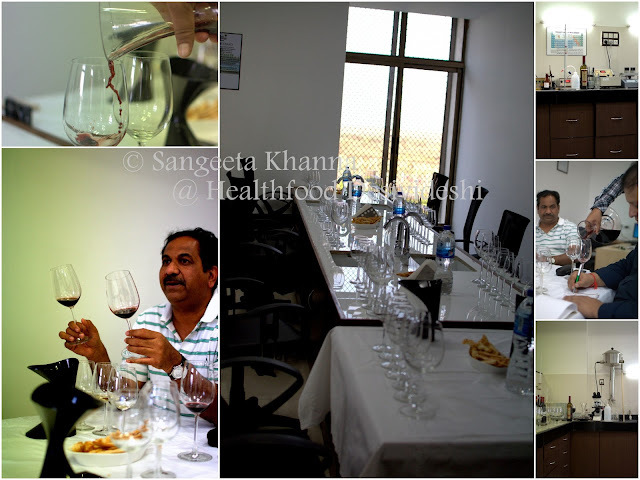 Mr. Abahy Kewadkar Head of UB-Four Seasons wines and Chief wine maker kept us entertained with stories of this place. It is evident that this vineyard has been conceptualized and constructed with passion. We had to get up early next morning and go for a small trek behind the winery. The area around the winery and vineyard is all open scrub jungles where you can see the horizon with undulating planes and some patches of greenery. We spotted a few deer as well. Mr Abhay Kewadkar is really a nature lover himself and spotted the deer first. Being almost a daily walker in the area he knew where and when they appear. I saw the deer running in their characteristic way for the first time. Jumping in a wave like manner behind each other.Wonderful. Can you spot them in this picture? This is how far they were and my 18-105 mm lens was not enough to zoom in. We had a good enjoyable trek and for people like me, the walk around the vineyard can be the only reason to visit this place too. Few animals and birds to spot in the wilderness is no mean treat. Coming back to a cool and plush villa is comfortable after a fairly exhausting walk. You can go on and do a several hours trek in the open scrub if you wish. I collected a few stones while I was at it. Carried some 2 kilos extra luggage with me on my return flight. The breakfast was again a Maharashtrian fair with Misal pav. Mr. Kewadkar himself gave a demonstration of how to serve oneself a Misal pav. All the muffins and cakes were skipped to have the Misal pav. Bouvet Rose Excellence was served to those who wanted. I skipped wine with my breakfast. Fresh fruit juice was a better prospect. 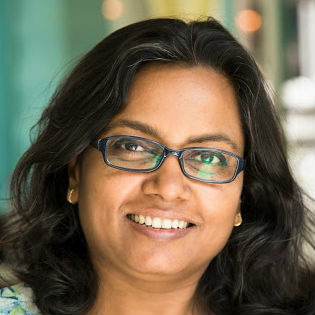 The brand 'Ritu' that was for the export market till now, will be launched in India shortly. The vineyard will be open for wine tourism and that looks like a truly wonderful concept as I would love to frequent this place personally. May be they would come up with a concept of a treasure hunt in the wilderness later when they open it up for tourists. Thank you Four seasons for having us over. The premium wine varietals we tasted were exclusively for the preview of the wines yet to be launched. A great opportunity, good company of fellow bloggers and the lovely folks at Four seasons. But wow !!! Geez... How much envy do you want to evoke !? I think cotton is still a cash crop around Baramati, though vineyards are taking over. 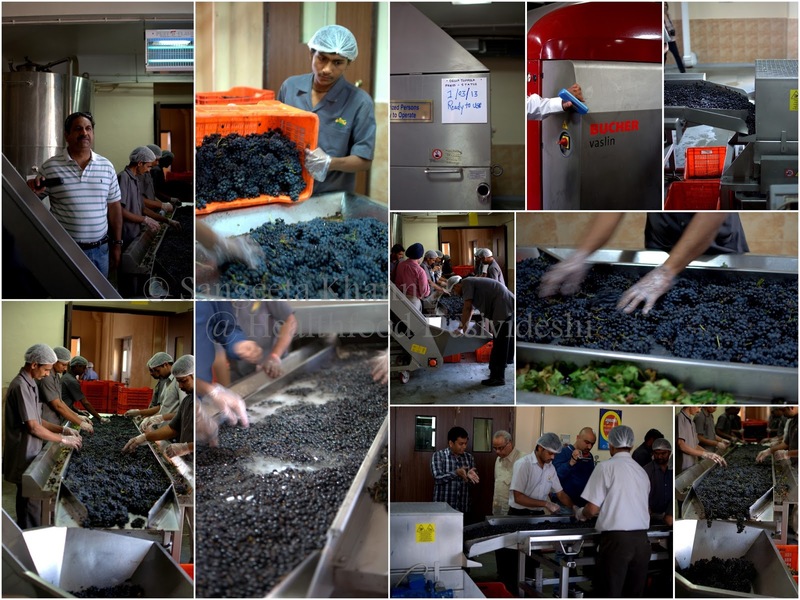 Hope more of the grapes are used for local wineries as of now it is all exported. Just beautiful, each picture, each capture. What a wonderful two days we spent together! Heres to more such good times in the future. You are too generous in your praise Deeba. It was wonderful to spend time with you there. The place was lovely but the company makes all the difference. Love.